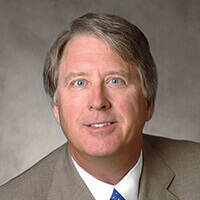 Jeffrey Willis is a senior litigation partner in Snell & Wilmer L.L.P. For nearly thirty-five years, Jeff has tried commercial litigation cases all over the southwest in both state and federal court. Jeff has also handled a wide variety of arbitrations and other legal matters. He is the 2018-2019 president of the Arizona State Bar. Jeff is also the Chair of the Northern Arizona University Foundation. Jeff has engaged in substantial service to the state and national legal community and the public. This includes serving in the American Bar Association’s House of Delegates and serving as President of the Tucson Chapter of the Federal Bar Association. He was also a Lawyer Delegate to the Ninth Circuit Judicial Conference. Jeff also generously serves on community organizations. In addition to being on the Board of the Arizona Justice Project, Jeff is also on the Board of the Patronato San Xavier, which is dedicated to restoring and preserving the San Xavier Mission.